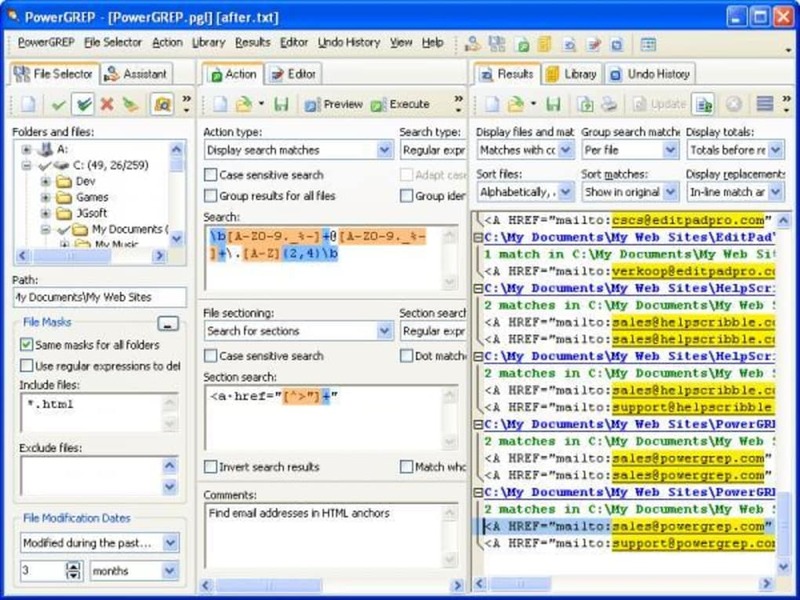 PowerGrep is a good, trial version Windows program, that is part of the category Software utilities with subcategory Files (more specifically Search Utilities) and has been created by Just Great Software Co.
About the download, PowerGrep is a program that needs less space than the average program in the section Software utilities. It's a software mostly downloaded in Ireland.Since the program was added to our catalog in 2007, it has reached 1,014 downloads, and last week it gained 2 downloads.The current version of the software is 3.5.5 and its last update was on 11/12/2009. It's available for users with the operating system Windows 98 and prior versions, and you can get it only in English. Action: Searching for delimited literal text with the "whole words only" and/or "match whole section" options turned on sometimes found search matches that don't appear in the list of search terms (3.5.3 only). Editor: Syntax coloring first appeared but then disappeared when viewing a file with highlighted matches that uses syntax coloring (3.5.3 only). Results: Displaying file names without search matches but with totals now shows the number of groups if "group identical matches" was checked on the Action panel. 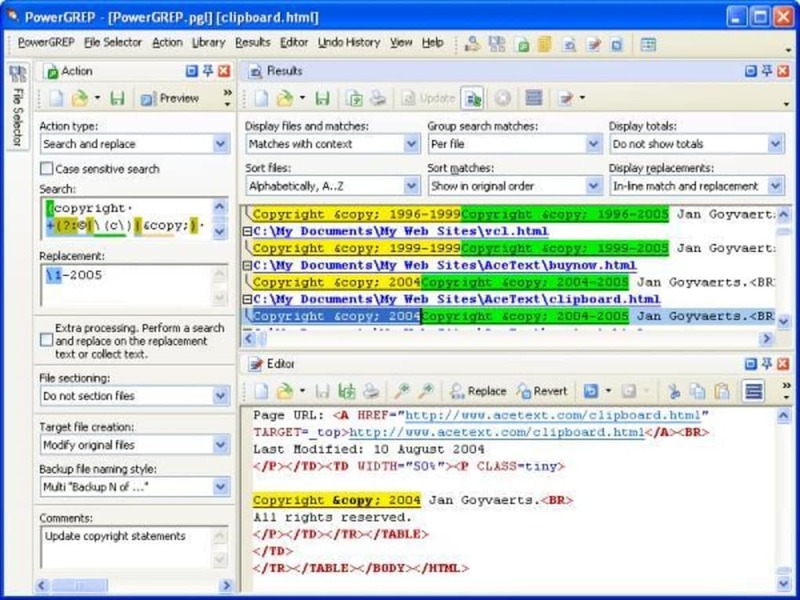 PowerGREP is a powerful Windows grep tool. Quickly search through large numbers of files on your PC or network, including text and binary files, compressed archives, MS Word documents, Excel spreadsheets and PDF files, etc. Find the information you want with powerful text patterns (regular expressions) specifying the form of what you want, instead of literal text. Search and replace with one or many regular expressions to comprehensively maintain web sites, source code, reports, etc. Extract statistics and knowledge from logs files and large data sets. What do you think about PowerGrep? Do you recommend it? Why?